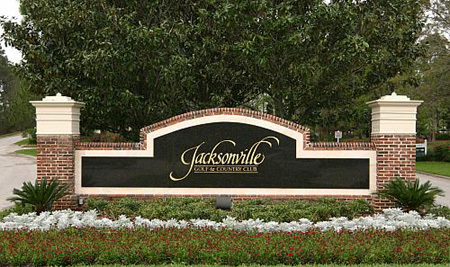 Jacksonville Golf and Country Club community in Jacksonville, Florida. Welcome to Jacksonville Golf and Country Club, centrally located to the beaches and downtown. This elegant gated residential community showcases a newly renovated Fuzzy Zoeler designed golf course and award-winning tennis facility with a 26,000 square-foot clubhouse that welcomes you any day of the week for fine dining experience and catering services for special events. Residents enjoy a magnificent low country-style clubhouse majestically overlooking the twin signature 9th and 18th greens. The Tennis Center has ten Har-Tru lighted courts and the Aquatics Center has a heated Junior Olympic-size swimming pool and playground. Inside the clubhouse is a full service Fitness Center complete with cardio equipment, weight training, aerobic exercise room, massage and personal training. Call me today at (904) 307-8998 for a personal tour of this community.